The Archiact team would like to thank all attendees, speakers, exhibitors, and volunteers who came to CVR 2016. We're so happy to say that our event, which was the first ever virtual reality conference for consumers, was a tremendous success! We couldn't have done this without you, and we really appreciate you taking the time to be a part of it. Loved CVR 2016? Missed out on the event? Be the first to get tickets to CVR 2017 by signing up on the CVR mailing list! Be the first to get tickets to CVR 2017! Don't forget to check out our awesome photos from the event! Click below to see the full CVR 2016 photo gallery! Here are some of our favorite news articles about CVR 2016! CVR 2016 was off the hook! For more articles, please check out our press page. Once again, thank you so much for being a part of our event. We look forward to seeing you next year at CVR 2017! We are excited to announce that Jeff Leece is the winner of our Vancity Buzz Contest! Jeff has won 4 VIP passes to CVR 2016. Congratulations Jeff! We can't wait to see you at CVR! A big thank you to everyone that entered! We hope we see you on May 14th! CVR is only 30 days away and tickets are going fast! To add to the excitement, we have teamed up with Vancity Buzz to bring you an awesome contest! Don't miss out on one of Vancouver's hottest tech events! Enter now! One of the amazing parts of VR, is the potential experiences it offers people that otherwise might not have the opportunities. Our next exhibitor, Metanaut, had the goal of reaching beyond the restrictions of the real world, with their experience, Lyra. Lyra is a playground for musicians to experiment in without real world limitations. Build fantastical music sequences with your bare hands, creating visual symphonies that you can fully immerse into. For the first time ever, jump into the music you've created and experience your masterpiece in a spectacular audio, visual sensory orchestra. Lyra won 1st Place in the Leap Motion 3D Jam 2.0 – 2015 VR Track. In addition, the experience won the Community Award for Most Popular Idea awarded by Canada’s largest tech-incubation platform, Istuary Group. We are explorers and builders of digital realities. We go beyond games. Our focus is to build essential virtual reality experiences that enrich and empower people from across the world. This often means our applications are non-gaming related. They are uniquely driven by our vision for what VR can offer, and are shaped by our solutions to challenging design problems. Learn more. Get your CVR tickets and explore music like you never have before with Lyra! Game jams have been proven to produce some interesting ideas. Our next exhibitor, Emerald Activities, is one of them! Their game, Mutato Match is a VR game unlike any other we have come across. Planets all over the galaxy are in need of creature re-population! Travel through systems in your rocket ship lab making Mutato species needed to save the planets. Grab a Mutato in each hand and bop them together to create unique offspring in this VR room scale experience for the HTC Vive. Emerald Activities is a small studio with a focus on creative games and activities. Their current project is Mutato Match for the HTC Vive. Learn more. Get your tickets to CVR and try this unique, fun-filled game for yourself! While we have showcased a number of fantasy and adventure games CVR, today we look at our first tower defence game. Our exhibitors, SketchPark bring to us the first tower teleporting defense game for the GearVR, The Elementalist X. In this adventure, one of Earth's most sacred sites, Agalma, has come under attack from demonic forces. Take the role of an Elementalist, summoned to help secure the site and vanquish evil from within its walls. Teleport to gain strategic position and avoid getting attacked. Use your magic to exterminate demons in this beautiful 360° experience. As a powerful Elementalist you fight the evil hoarde, challenging them with your brains and brawn. Master your spell combinations to overcome the demonic forces that are trying to invade Agalma. Teleport to change the tower types to wield the spell power that will overcome the evil. Use the elements to destroy endless foes and master the game in Ironman mode. How long can you survive and protect Agalma? Sketchpark Software Inc. specializes in game and web development solutions; providing services to clients world-wide. Learn more. Get your CVR tickets and master the elements in this tower defence adventure! While many VR games have been modified or ported to be accessible in VR, Cloudhead Games have built The Gallery to be a VR experience from the ground up, with the intricacies of the medium driving every aspect of design. In this adventure, a strange message left by your mischievous twin sister, Elsie, will draw you into a mysterious journey filled with bizarre characters, a sinister presence and awe inspiring adventure. Along the way, you will be assisted by a helpful yet unhinged Professor who may harbor ulterior motives of his own. Your search for Elsie will lead you to an ancient cosmic machine and test your will against a shadowy figure who resides within it. Cloudhead Games has partnered with industry leaders to produce the best built-for-VR experiences. Their proprietary, cross-platform tool set and advances in VR research continue to push the boundaries of virtual reality development. Learn more. Get your CVR tickets now and experience one of the most anticipated HTC Vive releases! Up until now we've seen VR experiences for gaming, for sports, and for mental health and relaxation. We are happy to reveal that CVR will also have educational VR experiences, including Fox 3D VR's House of Languages. House of Languages VR is a fun new way to learn English, German and Spanish using several channels of perception in a virtual reality environment. Guided by the friendly racoon, Mr. Woo, players are taken through beautiful VR environments as they learn foreign words and broaden their vocabulary. With this virtual foundation, users can build their confidence in practicing their chosen new language. So discover, interact, learn, and enjoy! House of Languages was the Bronze Winner of Oculus' Mobile VR Jam 2015. Brad Herman, Head of DreamLab at Dreamworks declared it "is a glimpse into the future of education". 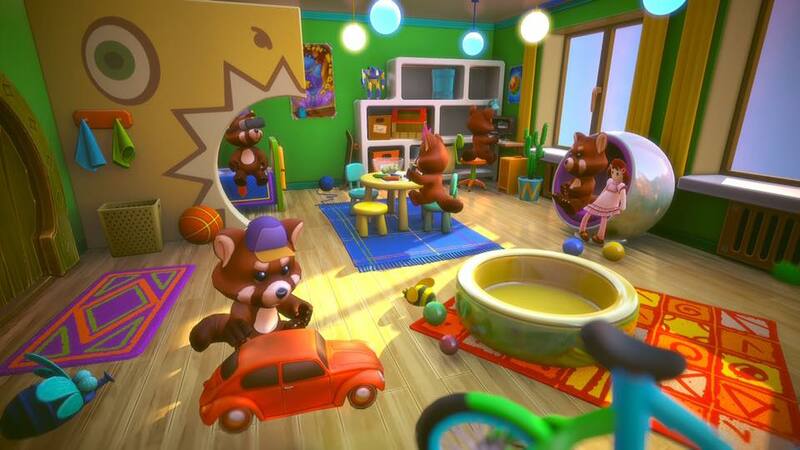 Fox3D has successfully cooperated with game developers of all sizes and world-class publishers from North America, Europe and Asia. Their aim is to create high-quality projects on a global scale. Learn more. Get your CVR tickets, check out House of Languages, and pick up some Spanish in the process! Every time we get behind the wheel, we make decisions with life and death implications. Brake or swerve? Quick! Decide! 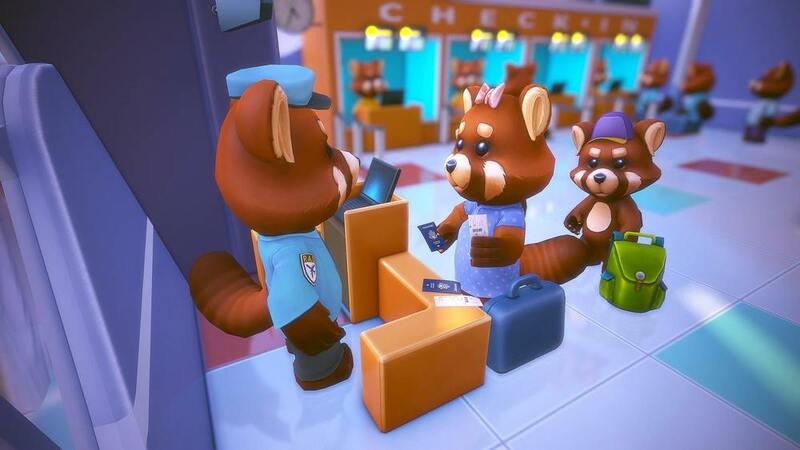 Today we look at the Canadian National Film Board, and one of their demos, Cardboard Crash, a virtual reality (VR) experience that explores whether we’re ready to hand over ethically fraught decisions to artificial intelligence (AI). In Cardboard Crash, users take the place of a self driving car, forcing them to make a difficult ethical choice when confronted with an imminent collision. There is plenty of data, but no easy answer. Cardboard Crash was among 30 immersive multimedia experiences that were chosen to be a part of the New Frontier Program at the 2016 Sundance Festival. Learn more. The National Film Board of Canada (NFB) is the nation’s public producer of artistic, inventive and socially relevant audiovisual content. For over 70 years our mandate has been to engage Canadians and the world through the production of stories and media that reflect our country and culture. Our bold and distinctive social issue documentaries, auteur animation and innovative digital content provide the world with unique Canadian perspectives and points of view. Since the NFB's founding in 1939, it has created over 13,000 productions and won over 5,000 awards, including 12 Oscars and more than 90 Genies. Learn more. Get your CVR tickets and be sure to try the thought-provoking, Cardboard Crash! Experience Dreadhalls at CVR 2016! With the immersive possibilities of VR, we've seen experiences that whisk us away to tropical paradises, pre-historic jungles, and post apocalyptic worlds. What about suspenseful, psychological thrillers? This week we explore the world of VR survival horror with White Door Game's Dreadhalls. Experience a new kind of immersive horror in Dreadhalls, a dungeon crawler for the Oculus Rift and Gear VR. You are trapped deep inside a massive dungeon. Explore it, survive it, and find a way to escape. Hide and run from the creatures that creep in the darkness. Find oil to keep your light fed. Your only weapons will be stealth, your own courage, and a faint light. Surviving in a dungeon is not an easy task! Deemed "Honorable Mention" in the Oculus and Indiecade 2013 VR Jam and awarded "Best Sound Design" by the 2014 Proto Awards, this is a survival experience you don't want to miss. Get your CVR tickets and check out the Dreadhalls demo. White Door Games is a one man VR game development company, created by Sergio Hidalgo. Learn more. 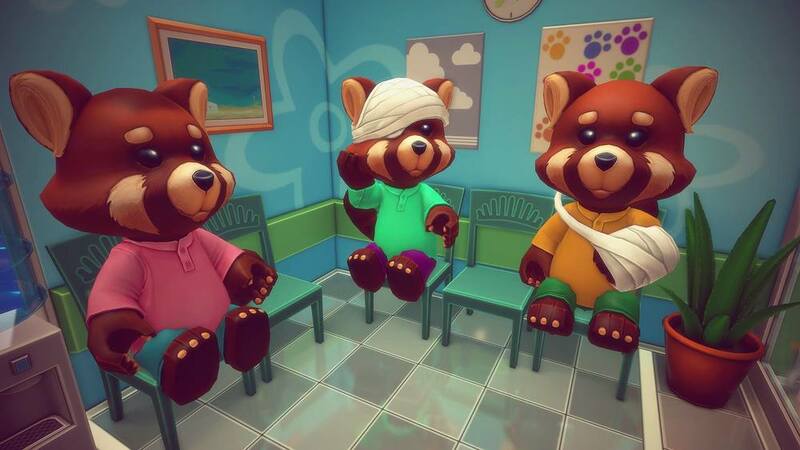 Today we shine the spotlight on the Cubicle Ninjas and their GearVR experience, Guided Meditation VR. Guided Meditation VR is a virtual reality application that provides powerful relaxation in exotic locations across the globe. Take a moment to enjoy a virtual vacation from your everyday pains and stresses. Find your happy place as our “Relaxation Artificial Intelligence” walks through proven meditation and mindfulness techniques. Embrace solitude alongside a quiet pier overlooking a tropical beach, intensify your zen-style by embracing a private forest at sunset in the cool rain, soothe your soul by basking in the sunlight reflected off a koi pond, or stare down into a canyon born from millennia of change. 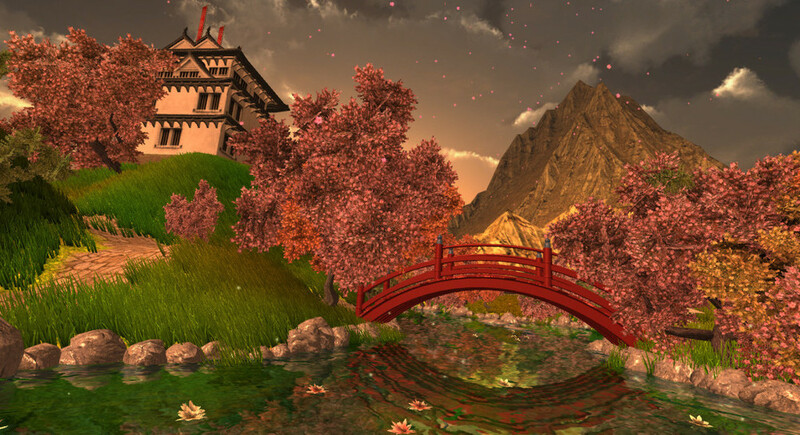 This relaxing virtual reality application makes it possible to meditate whenever. Even on your lunch break. Cubicle Ninjas’ world-class creative experts have innovated for dozens of the Fortune 1000. Each day we apply this proven experience for start-ups, non-profits, and mid-sized firms alike, leveraging our passion for making honest, visually compelling, and emotionally impactful work. Learn more. Be sure to get your CVR tickets and try Guided Meditation VR for yourself! 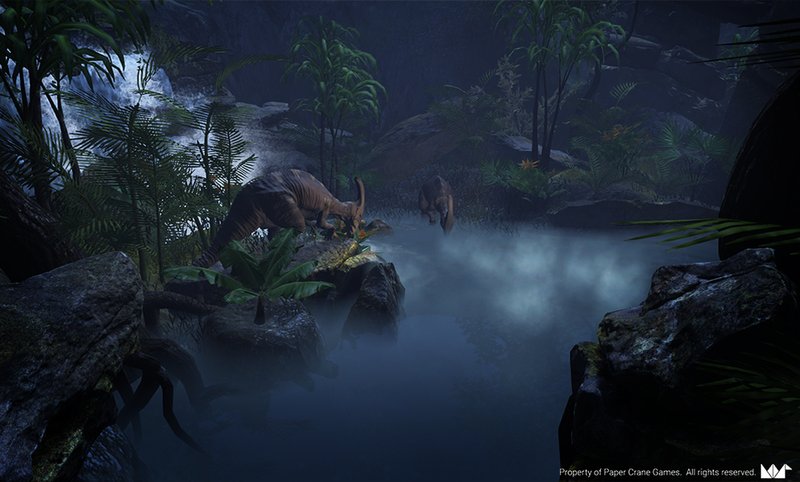 Today we are shining a spotlight on our exhibitors, Paper Crane Games and their Oculus Rift experience, "Explorers Inc: The Lost Island". 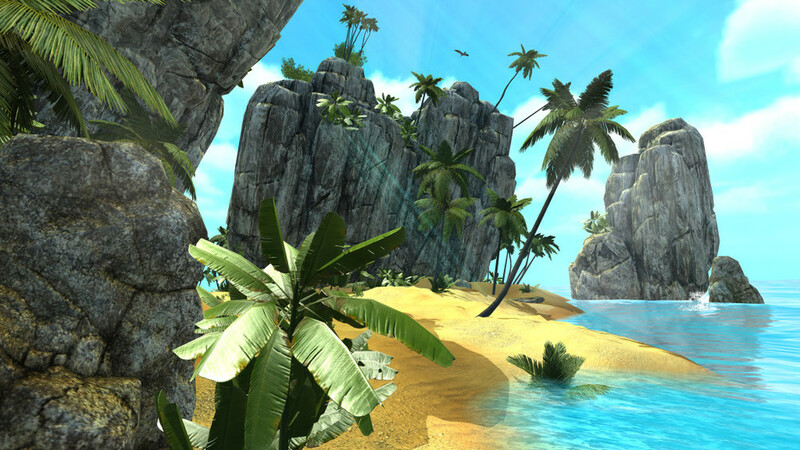 Explore a mysterious tropical island alongside a team of scientists in this first-person, adventure game. 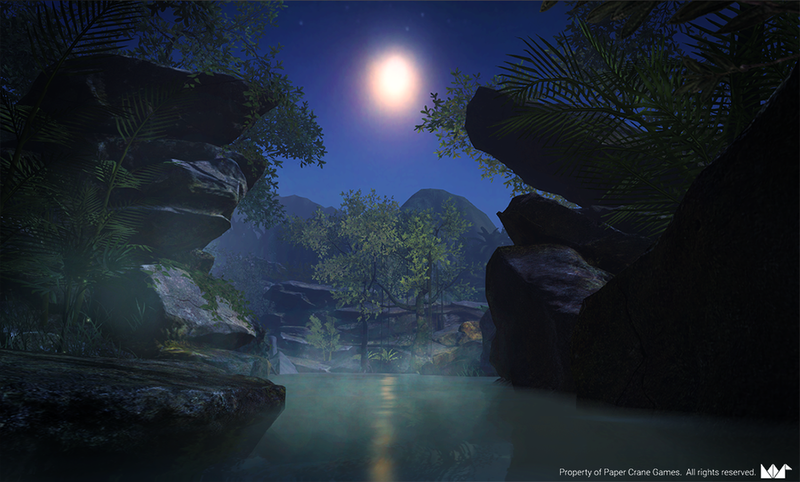 Search larger-than-life environments such as ancient temples and dense jungles. Solve puzzles using intuitive controls specifically made for VR. Interact with creatures both real and fictional. From beautiful tropical birds to giant dinosaurs, get up close and personal thanks to VR. "Explorers Inc: The Lost Island" is an intuitive and accessible experience designed to be a great entry point to virtual reality. Every aspect from navigation, controls, gameplay, art direction, and UI is geared towards creating a comfortable and enjoyable virtual reality experience. 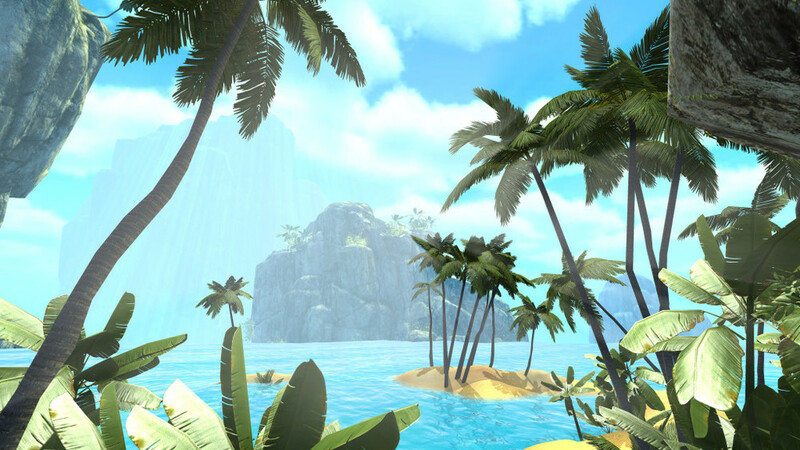 Created by a team of game industry veterans, the audiovisual experience of "Explorers Inc: The Lost Island" is of AAA quality and optimized to run at a blazing fast frame rate. 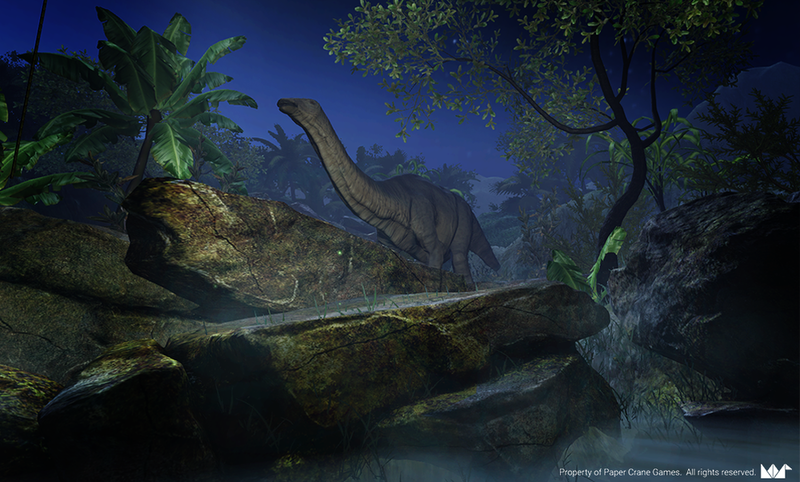 With "Explorers Inc: The Lost Island" players will get the opportunity to interact with legendary creatures and explore larger than life environments. Get your CVR tickets and be sure to try "Explorers Inc: The Lost Island"! Paper Crane Games is a Los Angeles based independent game studio creating content for virtual reality platforms. The company was founded January 2015 by industry veterans Giancarlo Surla, Andy Marchal, and Robert Espinoza. Learn more about their studio here. Win Demo Space at CVR - Sign up for Global Archiact Jam! Are you a game developer? Are you excited about VR? Are you looking for a way to get involved with CVR beyond just being an attendee? Say no more. We’ve got you covered. We know you’re counting down the days till CVR, so we’ve got something to tide you over in the meantime. In addition to hosting CVR 2016, Archiact is also hosting Global Archiact Jam – a sixteen-day mobile virtual reality game development competition happening April 8th to April 24th. Phew, that’s a mouthful. But, in short: Make a VR game, win an amazing prize! #GlobalArchiactJam is a great chance to expose yourself to the possibilities of the VR world. Best of all, it’s completely free and jammers retain full rights and ownership of their completed game. Interested? Make your way over to Global Archiact Jam and check it out. Sign up, register for Global Archiact Jam, and start building your team. CVR Early Bird Tickets Extended One Week! Awesome news! CVR Early Bird ticket sales have been extended by one week! Be sure to get your passes before prices go up after Mar 2. Get yours now! This is your chance to experience cutting edge technology that has yet to hit store shelves. Explore immersive environments with HTC Vives, Oculus Rifts, and room size motion capture systems. From shooting zombies to educational experiences - there is something for everyone! Sponsors, exhibitors, and speakers, we still have room and we would love to get you on board! This week on the CVR blog, we are spotlighting Futuretown! Futuretown will be bringing their HTC Vive game, Cloudlands: VR Minigolf. Cloudlands : VR Minigolf is a virtual reality minigolf experience that puts you in a beautifully landscaped course high above the clouds. It offers players a unique minigolf experience, with ball cannons, floating bridges, and multi-level courses to name a few. The experience was developed to be accessible for all ages and all skill levels. Get your CVR Early Bird tickets before Mar 2 and get your chance to try Cloudlands for yourself! Learn more about Futuretown here. With CVR rapidly approaching, we wanted to shine a spotlight on some of the amazing exhibitors that will be demoing. The first exhibitor we will be looking at is VRcade! VRcade is full-motion virtual reality gaming, an entirely new platform for gaming that utilizes your entire body. Deemed "remarkably immersive" by Gamespot, users are able to explore and interact with virtual environments with no wires and completely intuitive movements. Take a look at their sick trailer! Be sure to buy your CVR tickets and give it a try for yourself! Archiact Interactive is proud to introduce the first ever international virtual reality conference for consumers. CVR is going to be a hub filled with the best VR technology and content available. Come see what the world of virtual reality is all about at CVR 2016! There are tons of great opportunities to get involved in CVR 2016. ARE YOU READY TO EXPERIENCE VR?! Can't wait to see you at CVR 2016!